WickedLeak has come out with its latest offering the Wammy Desire II tablet. Keeping inline with current market trends the tab has a Quad Core processor and a good 1280 x 800 resolution. All for under Rs 10,000 tag. It is expected to support multiple languages which is a good point keeping in mind the price tag of Rs 9,999 is going to attract tier 2 and tier 3 buyers. Also, a Mali 400 GPU ensures a good gaming and video playback experience. 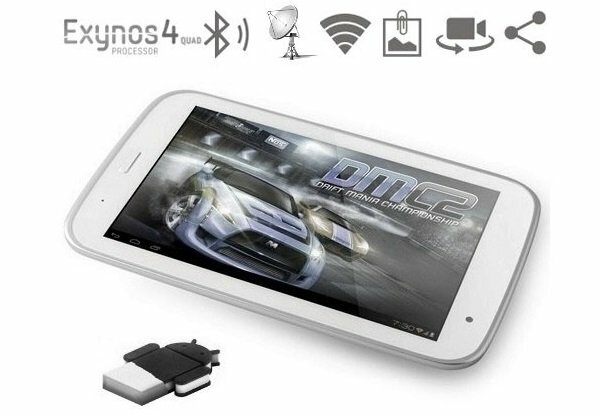 The device supports most features expected out of a mid range (Rs 10-15k) tablet. Like 1280 x 800 resolution on an IPS capacitive 5 point touch screen. The Quad Core used is a real boost for the processing as it provides a 1.4 GHz capacity which is good enough for even heavy apps and games. The 3300 mAH battery backup is bit of a let down considering so much has been packed onto the platform. One cannot expect a long lasting battery life from this one. Only time can tell how it actually performs. Users have the option of purchasing either the Wammy Desire II with Android v4.0 or the Jelly Bean update of 4.2. However, the Jelly Bean version is suspected to be having bugs and it is advised to opt for the Ice Cream v4.0. The tab is available for purchase on the WickedLeak online store itself. So, far only a White color model is available. According to ibtimes, the Wammy Desire II is expected to be delivered to users after May 15.